When new UTRGV baseball coach Derek Matlock took his first head coaching job at Fort Worth’s Eastern Hills High School in 1996, he remembers people telling him he could never have success with an inner-city program. He led the team to its first winning seasons, including back-to-back district championships. When he took a position as a volunteer assistant coach at TCU in 2005 — 13 years after he graduated UT-Arlington in 1992 — he remembers people telling him he was too old. At Texas State as the recruiting coordinator and pitching coach from 2007-12, he won four straight Southland Conference Championships at a school that had never before claimed a conference title. And in his fifth year at West Virginia under the same job title last season, he helped the Mountaineers to their first NCAA Regional berth in 21 years. Matlock has made a career of defying expectations. Matlock cited that desire to battle adversity and his ties to Texas as the biggest reasons he wanted the head coaching job at UTRGV, which he was officially tabbed for on Saturday. The Fort Worth native takes over a program that hasn’t been to the NCAA Regionals since 1986 and has had one winning season in the last 16 years. In two years at TCU, six at Texas State and five at West Virginia, Matlock carved out a reputation as a pitching guru and recruiting specialist. In his first season at West Virginia, Matlock lowered the staff ERA from 6.04 in 2012 — the year before his arrival — to 3.88 in 2013. 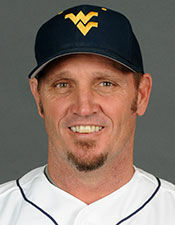 At West Virginia, he coached five All-Americans and had six pitchers selected in the MLB Draft. At Texas State, he recruited five all Americans and had eight pitchers drafted. And at TCU, he coached two players who were selected in the MLB Draft’s first two rounds. Last year, Matlock lured Perfect Game’s No. 109 overall recruit, Alek Manoah, to West Virginia. He said the process with Manoah, just like any other recruit, was about building relationships and outworking other schools. Matlock approached Manoah immediately after he completed a tournament game — the first point at which the NCAA allowed face-to-face contact. Matlock acknowledges the process will be a little more difficult at UTRGV, though he said the facility and weather will help him draw talent to the area. He’s planning to fly back to the Valley on Tuesday to begin his tenure. Matlock said on Saturday afternoon that he was already just one person away from rounding out his staff.